About ACT: Are Your ACT Scores Good Enough? American College Testing widely known as ACT- is used as a benchmark of eligibility for admission of students, by majority of colleges and universities is called ACT. The thought process behind designing such an entrance exam was to have and use a common parameter to assess all the applicants. Weight age given to ACT exam tends to vary on school to school basis. In a recent update it is been declared that Authorities are all set to conduct the ACT test digitally/online by the year 2015; which makes it more interesting and easily accessible. How to apply for ACT? Commencement of ACT is usually in February, April, June, September, October and December; the months which are scheduled for the ACT to be offered nationally every academic year. Admission office of the school you intend to join is the best option to seek advice and guidance about the ACT exam. Why is ACT test important? One of the prominent reasons to agree to the importance is that the test scores are accepted to all the 4-year colleges and universities across United States. Learning of high school syllabus of English, Science, Math, Reading and writing are the subjects to be co related to the test papers in the ACT and hence it varies a lot from any IQ or aptitude test. Students who are regular and hardworking at school are more prepared for this test as compared to others. Parents’ encouraging their kids to take up not so easy courses in the high school has been the smartest way to prepare for the ACT. However in this E-learning age various online test preparation options such as testing tips for each subject, free student booklets, preparing for the ACT, sample essay writing and free online practice tests are widely used. The most important part is the user friendly concept of ACT website. It helps you out with a unique Interest Questionnaire followed by a student profile section. Applicants are supposed to populate fields, including your interest, courses and educational preferences. Basis the details provided in this segment you are providing ample information to the colleges, about the curriculum you attended in high school and the career choices you are looking for. Your visibility to colleges and scholarship agencies increases on the basis of the details you provided as mentioned in the above point. This works to be an additional benefit to be prepared for the real world post your high school. This entrance test is liberal enough to assess the applicant basis the correct answers – no negative marking. Applicants are allowed to select at the most 4 colleges; to which ACT will share your scores. It happens to be a part of the basic cost for your test option. For those who are appearing for ACT more than once are supposed to choose the dates of results on which the ACT score charts would be shared to colleges. ACT ensures to share scores of the test date the applicant decides. Writing skills prove to be really useful in academic and work life. ACT is flexible enough to allow students to choose ACT assessment plus writing test; if they want to go for the writing test or not as it involves extra time and money. Rules and beliefs for schools and universities may vary on types of measures for the test. Students when think about ACT test; we would say it has four segments namely English, Science, Math and Reading. The fifth aspect of a 30 minute written test is optional. ACT Test Sections and Information is enlisted below for your benefit. A few schools might look out for written test scores and hence it may be advisable to go for it. Students are becoming proactive and smarter day by day. They opt to take up the test traditionally in the spring of their previous year end. This leaves them with a chance of repeat test and SAT, if required at the fall of the senior year. Registration Deadline: 5 weeks prior to the ACT test date. It’s a dilemma for the students to decide on to which exam to take as the colleges may acknowledge either the ACT or SAT. Numbers count…there are instances where applicants end up doing well in SAT whereas few more score significantly on ACT. 5 Emphasis on vocabulary is less as compared to the objective and output of questions SAT has a stronger emphasis on vocabulary. On receiving the ACT scores people think twice before opening the envelop whether should they open it or should go ahead to register themselves for the next available retest. In this last lap as well; individuals get confused. With the scores they got will they get admission in the school they selected? 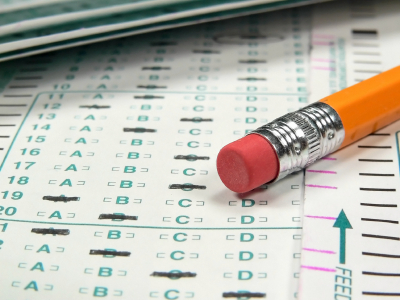 What could be the top college ACT scores? What is required in terms of ACT scores for admission to top colleges? Are they in the range and meeting the college acceptance scores? It is all purely based on the criteria set by the college you would have selected. Above the average scores in ACT may be a 23 or 1800 in SAT for a specific college/university whereas the other one would consider it to be below average. Hence with higher scores one has better and more options in terms of selecting the colleges or universities. National average for SAT is 1500 and 20-21 for ACT. Individuals close to these numbers may likely get picked up at a significant number of colleges and universities, however; they might be dropped by more choosy schools. Individuals securing their scores above average better their chances to get selected at choosy schools. The table below would be of great help for all those who are looking for score of SAT that might be equivalent to ACT composite score. Sincere effort are been made to provide precise details available from a concordance table.